BBC gets go-ahead to launch Netflix streaming rival | What Hi-Fi? The Government has given the BBC the green light to launch a paid-for subscription service to rival the likes of Netflix and Amazon Prime. The Guardian reports that any BBC streaming video subscription service would work in a similar vein to Netflix, but instead of giving customers first-run shows, it would instead mainly focus on a catalogue of older TV content from a mix of broadcasters. The Corporation is said to be discussing partnerships with ITV and NBC Universal. NBC Universal is being included in the talks as the co-producer of shows such as Downton Abbey. Despite ITV producing a number of shows itself, including Mr Selfridge, Come Dine With Me, Poldark and Coronation Street, it doesn't necessarily hold the rights to put every show on a subscription service. 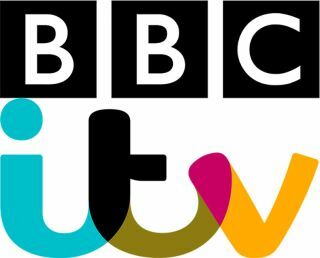 Both the BBC and ITV already have catch-up services, but shows on iPlayer and ITV Hub (formerly ITV Player) are removed after 30 days. A new service would offer programmes for longer. In its white paper on the future of the BBC, published last week, the Government says "it welcomes the BBC's commitment to develop and test some form of additional subscription services". It has also announced plans to close the loophole that allows people to watch programmes on iPlayer without paying the licence fee. Last year the BBC released the BBC Store, a download site containing more than 60 years of programmes, while this year the corporation launched a new BBC Music app, which offers the best of the BBC's music content from TV and radio on demand.